The co-owners of Mezze, Nancy Thomas and Bo Peabody, also operate Allium in Great Barrington. There is also a related catering business. This is a destination for Williams faculty and visitors to the bucolic Berkshires. 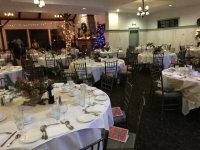 Railroad Street Youth Projects annual culinary arts celebration dinner highlights youth with a work based apprenticeship program in Berkshire county. 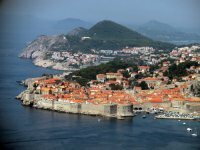 During a luxury tour of the Mediterranean we were wined and dined with an array of themed restaurants aboard the Silversea Spirit. After days of exploring on land it was a pleasure to return to the ship for relaxation and entertainment. During the winter season Mezze in Williamstown offers Comfort Sunday weekly specials. A three course meal at the upscale restaurant costs $29. Or $22 if you skip desert. On a snowy winter night we joined friends to share a super spicy Moroccan menu. It was perhaps too authentic as the owner Nancy Thomas, who created this special dinner, is Moroccan American. It evoked a gastronomical heat wave on a cold gloomy night. At two hours with no intermission Steel Hammer the avant-garde deconstruction of the traditional ballad John Henry was physically and emotionally demanding on the performers as well as the audience. The company was co founded in 1992 by the Japanese master Tadashi Suzuki and Columbia University professor and director Anne Bogart. After the first five years Suzuki ceased participation but the company continues to follow the Suzuki method which entails cult like discipline and dedication. Chef Kirk Grippo has owned and managed the popular Berkshire pub Olde Forge Restaurant, in Lanesboro on Route 7, for the past fifteen years. He was setting up for a party but paused long enough to chat with us. The annual Festival of Trees at the Berkshire Museum is among the events which he caters. He discussed how it takes a staff of 60 to keep up with the busy restaurant. Now in its 14th year the Williamstown Film Festival has been compressed from two weekends to one Wednesday through Sunday stretch. That saw an increase of guest artists and visitors who hung in for the duration of the unique cinematic event. Yet again, artistic director, Steve Lawson, concocted a heady mix of many short films and several stunning features. There was a sell out for the thursday opening night of Dreamscape, followed by a party at Mezze. On Friday Mass MoCA was packed for Knuckleball. This is the first of two reports and several interviews. The documentary film Dreamscapes by Wolfram Hissen will be screened on Thursday October 18 at the annual Williamstown Film Festival. Following the film, its subject the artist Stephen Hannock, and Top Chef producer and chief judge, Tom Colicchio, will engage in a dialogue with tasting at the restaurant Mezze. Hannock has been involved by creating paintings for a dozen new restaurant projects with Colicchio and his partner Danny Meyer. We met with Hannock in his Berkshire studio to discuss the film and his latest art projects. The two time Pulitzer honored translator of Moliere, Richard Wilbur, was present for a reading of The Misanthrope at the Clark Art Institute. The Williamstown Theatre Festival event, sponsored by the Williams Inn, was a benefit for the Williamstown based charity Higher Ground. We discussed the presentation and Moliere with John Douglas Thompson who portrayed Alceste. The evening begins at 7 p.m. with a reception in the Beard House’s charming Greenhouse Gallery as guests enjoy an assortment of hors d’oeuvres. A seated tasting menu begins around 8 p.m. The James Beard House is located at 167 West 12th Street. The price is $130 per person for James Beard Foundation members and $170 per person for the general public. The Mission Bar and Tapas in Pittsfield has become a popular destination for live music and light dining. It will participate in 10x10 on North Street from February 16 to 26. Recently the Pit Bulls stopped by for lunch. In the cold winter months, comfort food is what most diners crave at mealtime. 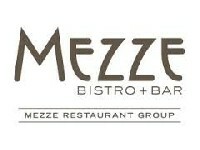 The Staff Menu evolved from the popularity of Comfort Sunday at Mezze Bistro â€“ a three-course prix fixe menu available on Sundays from November through May. Comfort Sunday has created a strong following with many regulars coming back week after week. The Restaurateur by Roger Sherman provided a tasty start for the second weekend of the Williamstown Film Festival. It was a nasty, stormy Thursday night but Images Cinema was packed for a film about New York entrepreneur Danny Meyer. He and Sherman were on had for a post film chat with organizer Steve Lawson. Then the audience decamped for a tasting party at Mezze. After three days and nights in the dark there is much to sort through in the particularly rich, varied, fertile and provocative 13th annual Williamstown Film Festival curated by its tasteful and insightful artistic director Steve Lawson. The festival continues through October 29. The combination of the 10th anniversary of the magazine Gastronomica founded by Williams Professor, Darra Goldstein, and an exhibition at the Williams College Museum of Art by Pepon Osorio inspired a day long symposium exploring all aspects of food and definitions of taste. This was the notion of you are what you eat explored to the max. Philippe de Montebello, the retiring director of New York's Metropolitan Museum of Art charmed and captivated a capacity audience at the Clark Art Museum.